We may have rescued them from exploitation but they have rescued us from our ignorance of the non-human world and taught us the moral imperative to be vegan. 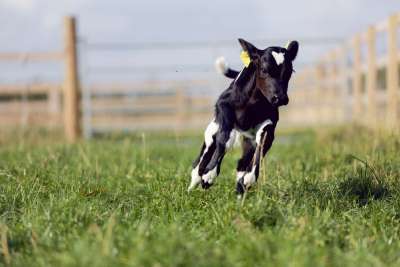 Eden Farmed Animal Sanctuary in Co Meath, Ireland, is a vegan home where farmed animals who have been rescued from the animal use industries, are given sanctuary for life. 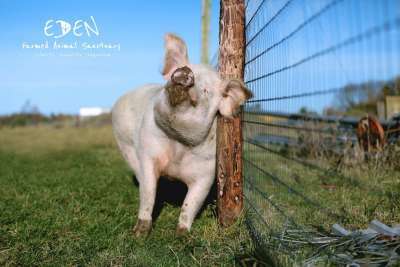 At Eden they are regarded with the dignity and respect that is their right. We may be different species but we have equal fundamental rights not to be bred, owned, used, exploited, harmed or killed. Contrary to the prevailing view of human supremacy, our human lives are not worth more than the lives of the animals we use. Because they are sentient, feeling beings, they share with us the fundamental rights not to be bred, controlled, owned, used, exploited, harmed or killed. When we use them, for any reason, whether it be for food, clothing, research, entertainment, labour or any other reason, we violate those most basic rights. Because our use of them is entirely unnecessary we are morally obliged to stop using them and be vegan. Even if our use of them benefits us, we have a moral obligation to find and use non-animal alternatives. The fact that ‘farming’ them for our use is normalised and socially accepted by most of our human population, does not mean that it is right. Each one of the billions we ‘farm’ to kill every year, is as unique and feeling a being as you or I. The items that we take for granted such as the food we eat, the clothes we wear and the cosmetics and other products we use, have a history that stretches all the way back to a unique individual being: someone with feelings, someone’s mother, someone’s child, someone who valued their life, someone who didn’t want to be used, or harmed, and didn’t want to die. Someone, who if we met them face to face, we would never choose to harm. Harming someone defenceless and innocent is anathema to most of us. It goes against all the values that we claim to uphold such as justice and fairness. It is these ‘someones’, the victims of our human use, who are rescued and live at Eden. 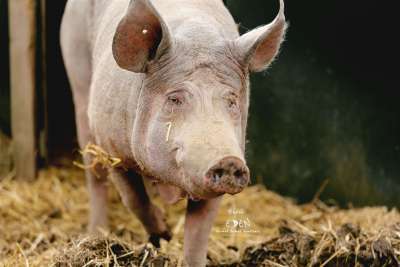 Eden Farmed Animal Sanctuary CLG is an animal rights organisation established as a not-for-profit company. As its activities of offering a home to non-human animals who have been rescued from human use, along with the promotion of their right not to be bred, owned, used or killed, do not fit within the definition of a charitable organisation in the Republic of Ireland, Eden is not a registered charity.